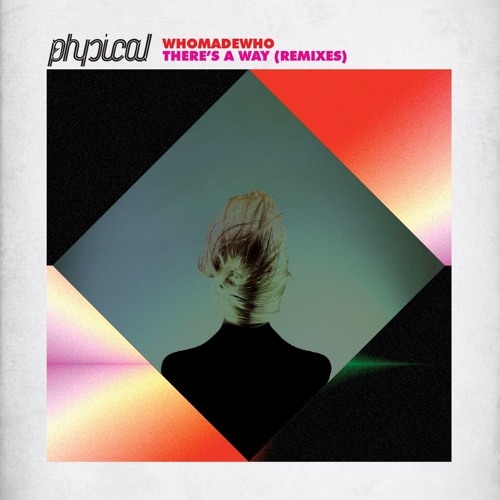 We first discovered the Danish trio WhoMadeWho when Maceo Plex put out his remix of their track ‘Heads Above’ last summer. More recently, the group released their six track ‘Ember’ EP in May of this year, which made waves in the scene. Now, remixes are slowly trickling out on Get Physical. Up for this package for ‘There’s a Way’ are three strong contenders offered by andhim, newcomers T.M.A., and Jazzuelle. Up first is the offering from German duo andhim. Their take chops up the impressive vocal with a clap like percussion and rhythm. The track is perfect for a midday outdoor set and unsurprisingly fills the whole area. No stranger to Get Physical, South African producer Jazzuelle was a great choice for remixer. Jazzuelle maintains the beauty of the nearly untouched vocal with a groove focused bassline. This is clearly the danciest one out of the package. Closing things out is something fresh and lively from the Berlin based trio T.M.A. They inject a sound with impressive live instrumentation into the track. Well produced, their version is something different and we are curious to hear what you think. ‘There’s A Way’ remixes are out NOW on Get Physical!